Sally Ashton is a poet, writer, teacher, and Editor-in-Chief of DMQ Review, an online journal featuring poetry and art. She earned her BA in English with a creative writing minor from SJSU, and her MFA in Poetry and Literature from the Bennington Writing Seminars. She is the recipient of an Artist Fellowship, Poetry, from Arts Council Silicon Valley and a fellowship from Montalvo Arts Center. She is the author of three books of poetry, two of which were nominated for Pushcart Prizes. Poems also appear in the textbook, An Introduction to the Prose Poem, and Breathe: 101 Contemporary Odes, as well as in literary journals such as Sentence: A Journal of Prose Poetics, Brevity, Zyzzyva, 5am, Mississippi Review, and Poet Lore. She was awarded the Fish Flash Fiction First Prize, an international award, in 2014. 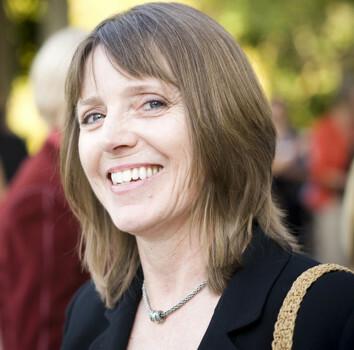 Ashton was appointed the second Santa Clara County Poet Laureate on April 1, 2011. During her term, she compiled a collection of the favorite poems of County residents posted on a project blog. She also hosted a series of public readings of these poems throughout the county. Her project for 2012 was Poetry on the Move, a contest for county residents culminating in winning poems placed in county buses and light rail cars. Besides teaching at San Jose State University, she teaches private workshops and at writer’s workshops including Disquiet: An International Literary Program in Lisbon, Portugal. She has a keen interest in the intersection of the arts and science and in the relation of image to word. It was an honor to have my work acknowledged and celebrated by the community through ACSV's Artist Fellowship. It added credibility to my career as an artist and energy to my further pursuits.